Have a look at our PressKit, Like us on Facebook and follow us on Twitter. Why „Behind The Stone“? Sometimes you have to look behind a stone in order to realize there is a gem. Our goal is to create such gems. The Hamburg (Germany) based Indie-Studio consists in its core of two people who came into contact with videogames early. Over time the games turned into passion. This passion should be the foundation of the team. The result: studying game development. But theory wasn’t enough, whereon we decided to create games on our own. We want to create exceptional worlds. 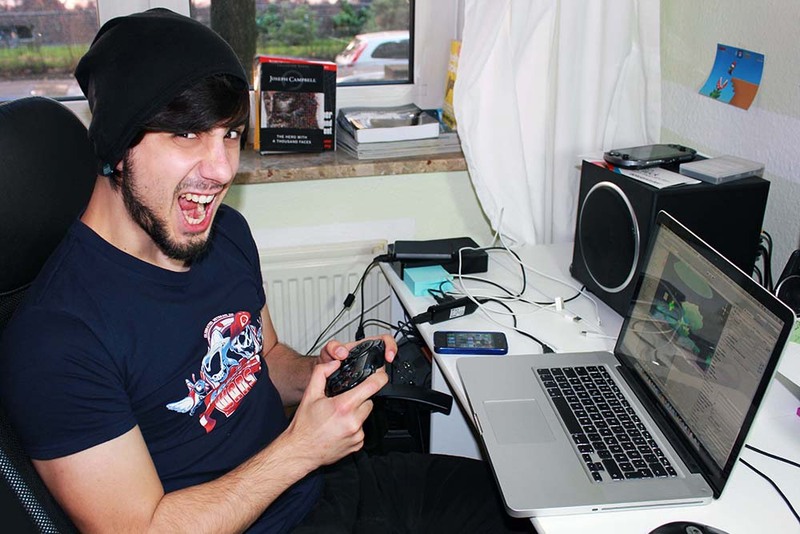 We think videogames can be more than just „games“. The element of immersion is predestinated to tell stories. Therefore we don’t follow any industry-trends and don’t rely on modern business-modells. We work under the motto: „Create games you do not just want to play but also to experience!“ Our games are journeys with passion and love for detail. We want you to participate in this journey. Discover our games, maybe they encourage yourself not only to learn something new about them but also about yourself, too! 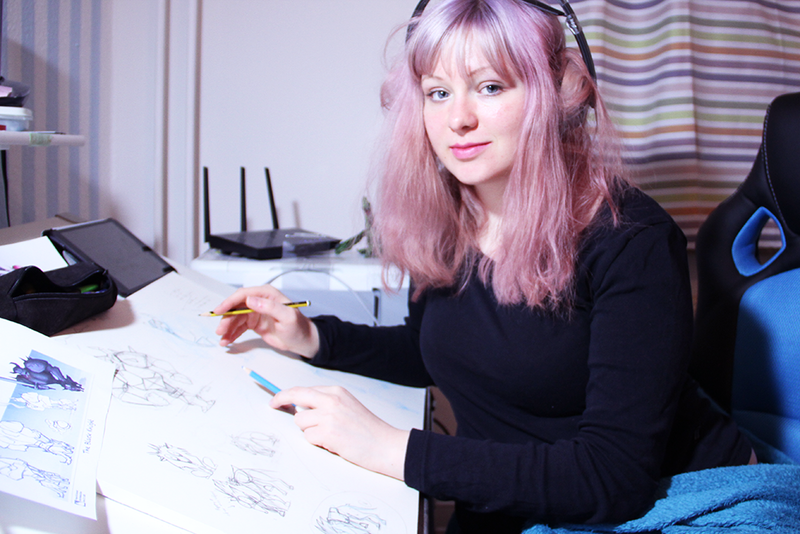 Monika Rider is the artist at “Behind The Stone” and responsible for the whole art-creation and leveldesign. She is endemic in the north of Germany. There you can meet her especially in cuddly rooms. This purpleheaded kind of artist eats first and foremost candy, which enhance her creative skills. If she’s not busy drawing stuff she is studying picture books or falls asleep. Slawa Deisling is responsible for programming and gamedesign at „Behind The Stone“. His programming-powerlevel isn’t over 9000 yet, but thanks to his megalomania he somehow manages to solve all of his problems. In his (very) spare time he is busy watching movies and razzing his friends with quotes.